Many people enjoy do it yourself projects; unfortunately dryer repair requires training and experience. Allow our company to take the stress and worry out of repairing your machine. This will not only make your life easier but will avoid any injury or other mishap. • Dryer is total a non-functioning machine! These are just some of the problems our Appliance experts employees are trained to handle. A dryer that isn’t functioning is not only inconvenient but can be dangerous! Your safety and satisfaction is our priority! Experts Appliance repair Ellicott City ensures in keeping up with all city and county codes. We will even replace your existing vinyl vent duct system (which is a fire hazard) with aluminum venting. Keeping your already purchased dryer is in your best interest. Proper repair and maintenance will allow you to keep your machine for years to come! There are plenty of things in life that your money can be used for besides purchasing an expensive new appliance. 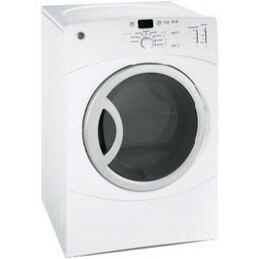 Contact Experts Appliance repair Ellicott City to help you save money and the headache of buying a new dryer! Dryer lint can cause trouble because it blocks dryer lint traps, clogs vents, and fills blowers. The result can sometimes mean poor clothes drying or — sometimes — no drying. To avoid lint problems, clean out the dryer’s lint trap system every time you use the dryer.